With a holiday weekend fast-approaching, I’ve got parades on my mind! I love parades. If I were a small business owner, I would donate some of my profits to defray the cost of organizing local parades. 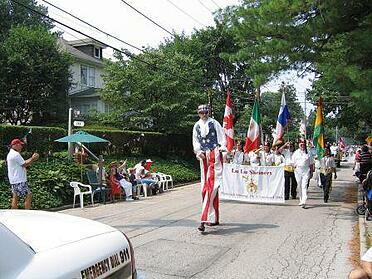 My favorite parades are small, hometown parades celebrating Independence Day. I previously lived in two different communities that celebrated July 4th in a BIG way. Both communities held parades that were filled with kids walking their dogs, youth sports teams in uniform, lawn mower brigades complete with men in weekend attire expertly maneuvering their lawn mowers in drill team-like precision, and floats decorated with crepe paper, balloons, and poster board. Those parades tugged at my heartstrings. Embrace Life and Community in a BIG Way. Give Accordingly. That’s just here at our corporate headquarters. When I multiply the number of bakeries in the Great Harvest franchise system of small business owners, times the amount of time, dollars and product that is donated to charities, donations exceed a million dollars each year. Small Businesses are All About Community. Many prospective owners buy a Great Harvest franchise because of our focus on generosity. It aligns perfectly with their personal philosophy on giving. Giving feels good. Owners are free to choose which charities and events they want to sponsor. Owners of neighborhood Great Harvest bakeries choose a wide variety of organizations to support. Supporting local charities is a good way to promote your small business. In his blog, “Charitable Giving is Good for Your Business,” Lee Polevoi suggests three guidelines to consider when selecting charities to support. enhances the well-being of family and friends. 3. Find a cause that relates to your business. If you run a sporting goods store, why not sponsor a kids’ soccer league or Little League team? Support a charity that affects and influences your target market. Read more. One word of caution…don’t underestimate your customer’s ability to gauge your commitment to generosity. If you say you’re supporting a particular charity or are sponsoring an event, make sure you follow through with your commitment. To do otherwise could cause negative perceptions about your business. Supporting Local Charities Is a Gift that Keeps on Giving. David Frey says, “Many savvy small businesses are affiliating themselves with charities to market their businesses. Not only is it a primary means for developing a powerful network but also it helps others in the process. People like to associate themselves with businesses that support causes which help disadvantaged people in a meaningful way.” David offers more advice on how to get the most out of charitable giving in his blog post. Opening a locally owned business gives people the opportunity to be more involved in their communities. Oftentimes, business owners are able to contribute more to a favorite charity on behalf of their organization than they would have been able to give personally. If the idea of being able to contribute more to an organization that you support appeals to you, a franchise opportunity may be a good fit for you. 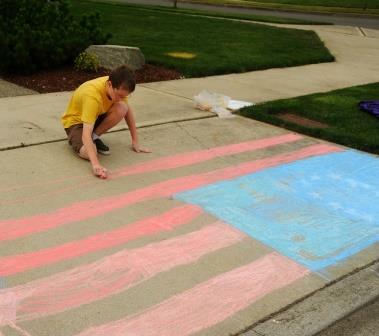 Show Your Patriotism by Supporting Local Businesses this 4th of July. Remember those 4th of July parades mentioned at the beginning of this post? For me, there is no better way to experience the pride and satisfaction of being a citizen of this country and celebrating the freedoms we enjoy. It actually brings tears to my eyes. I’m thankful to the business owners that support local charities and events. Did I support them by patronizing their businesses? YES! Have a Happy July 4th! Do you love community, business, and giving? 1. Lee Pavoloi, February 1, 2012 http://blog.intuit.com/money/charitable-giving-is-good-for-your-business/#ixzz35qtzUD2o. 2. David Frey, FrugalMarketing.com http://www.frugalmarketing.com/dtb/charity.shtml. 3. Photo credit 1 (man on stilts): Spikebrennan. 4. Photo credit 2 (kid with chalk): Wonderlane. 5. 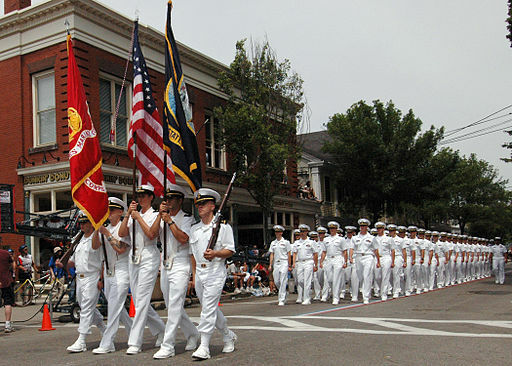 Photo credit 3 (Navy parade): U.S. Navy. 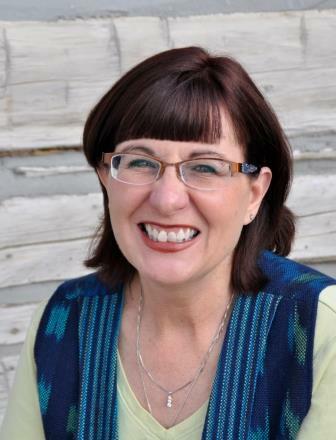 Hello, I’m Kay Roach and I’ve been working at Great Harvest Franchising since July 2012. I enjoy my job, the people I work with and our delicious products. It is very gratifying to help people achieve the dream of owning their own business. Everyday people in the franchise office work hard to support our franchisees in their success. We partner with franchisees as they embark on creating great food in a fun environment.